BLOGGERS ARE YOU READY ? HAVE A STRONG SENSE OF FASHION ? Expand your portfolio by sharing your ideas and expertise during our 2 day event. 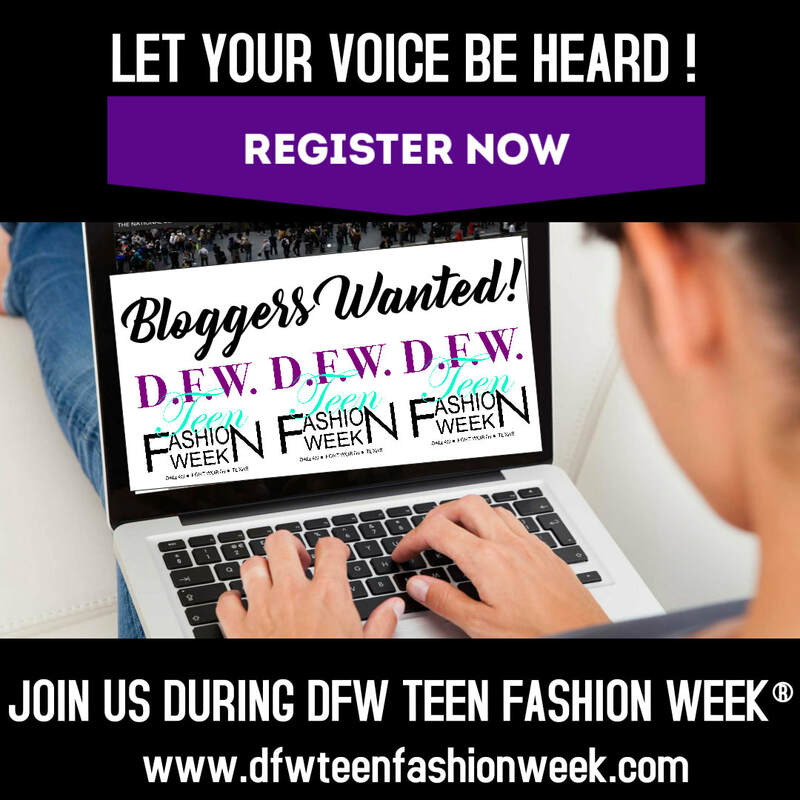 DFW TEEN FASHION WEEK® ! in the Dallas Metroplex. We are the Oscar's of the young fashion industry. designers, entertainment & all media outlets. ​to interview our celebrity guests, models, designers and entertainers.